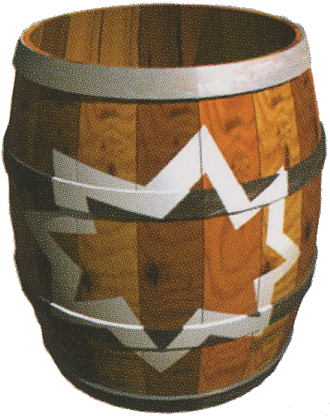 A Blast Barrel, also known as an Auto-Fire Barrel, is a common type of Barrel Cannon that appears throughout the Donkey Kong Country series. It is represented by a symbol on the side of the barrel depicting a white outline of an explosion. 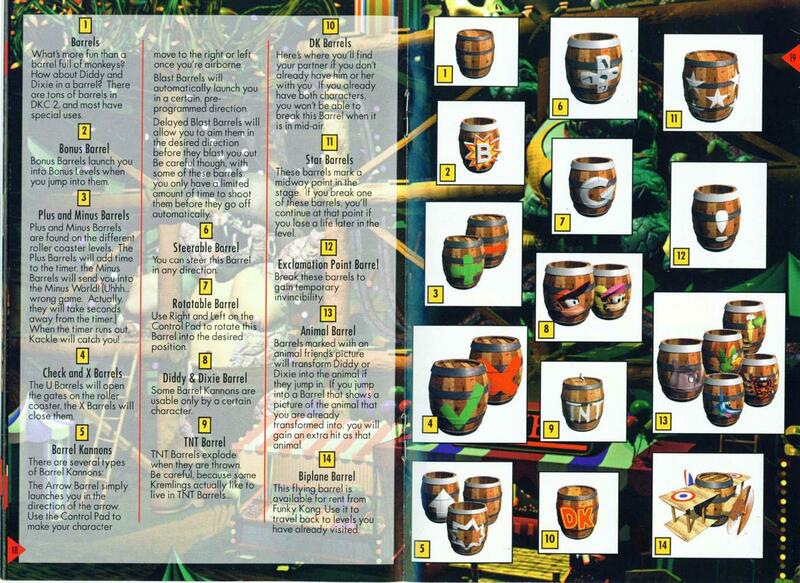 Blast Barrels first appear in Donkey Kong Country. When a character jumps into a Blast Barrel, it automatically launches them in a predetermined direction. The Blast Barrel can launch the Kongs at great distances and often allows them to reach a location that cannot be reached by other means. The Kongs cannot control when or in what direction they are fired, as the launch is purely automatic. In Donkey Kong Country, Blast Barrels are also used to send the Kongs to Bonus Areas; the Game Boy Advance version and sequels use Bonus Barrels instead. 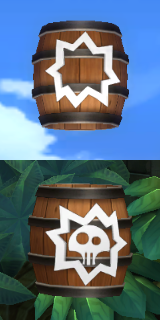 Blast Barrels lack the explosion symbol in Donkey Kong Land 2 and Donkey Kong Land III. The steel rims on their entrances are also colored white in those games as well as Donkey Kong Country 2: Diddy's Kong Quest and Donkey Kong Country 3: Dixie Kong's Double Trouble!. In Donkey Kong 64, all Barrel Cannons look like Blast Barrels, even though only a few actually act like them. Blast Barrels return in Donkey Kong Country Returns, Donkey Kong Country Returns 3D and Donkey Kong Country: Tropical Freeze, looking and acting the same as in the original version of Donkey Kong Country. These games also contain Blast Barrels with skull heads displayed on them, which instantly self-destruct after they launch the characters. Blast Barrels also appear in Mini Mario & Friends: amiibo Challenge, where they are present alongside Barrel Cannons in Barrel Blast Jungle and one level of the Star World. They function just like in the past games, automatically shooting a character in a certain direction once entered. In Tanked Up Trouble of Donkey Kong Country, one Blast Barrel self-destructs as it fires the Kongs (predating those of Donkey Kong Country Returns), but only in the original version. In the Donkey Kong Country television series, there are Exploding Barrels that bear a resemblance to Blast Barrels. ↑ "It's a Blast Barrel that puts you into a 1-Up Balloon guessing game." Nintendo Power Issue 66, page 11. This page was last edited on March 8, 2019, at 20:17.